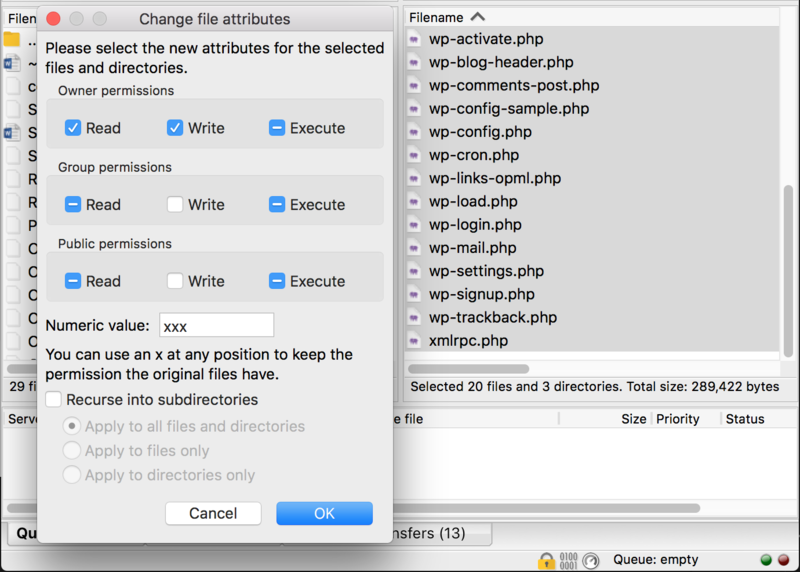 I admit - I haven't yet tried the suggestions in this article (25 Image Media Uploader Problems – WordPress), but before I do, I also heard that I should try resetting the ownership and permissions of the wp-content folder. And I would like to try that first. But I'm nervous about doing this. 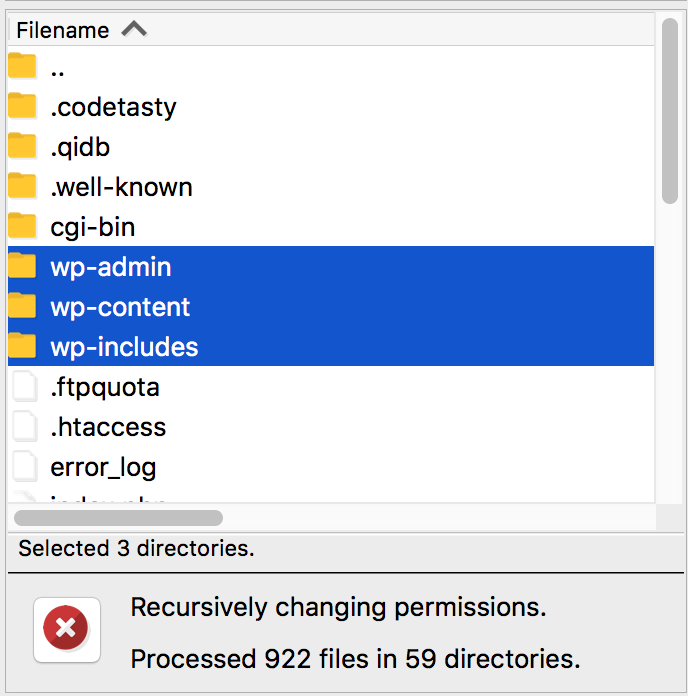 I don't want to make any changes that can't be undone and I'm not even sure if this is what's meant by resetting ownership and permissions of the wp-content folder. 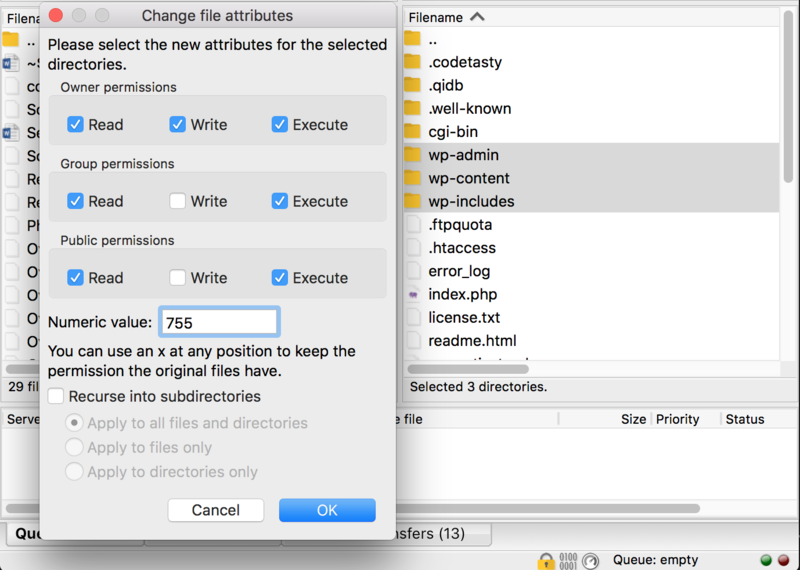 Please advise as to whether or not this is the best way of "resetting the ownership and permissions of the wp-content folder", and if you think it will help to eliminate the HTTP error when uploading images to the WordPress media library. 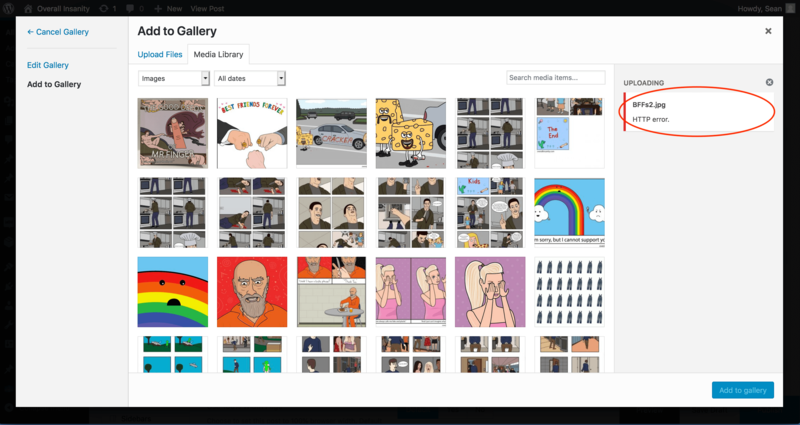 EDIT 2: I have noticed that images with smaller file sizes are able to upload without error. I.e. an image of 578 KB will upload but an image of 610 KB or above will not. I also tried calling my hosting company, and they upgraded PHP to version 7.1 for this website, but the error still remains. 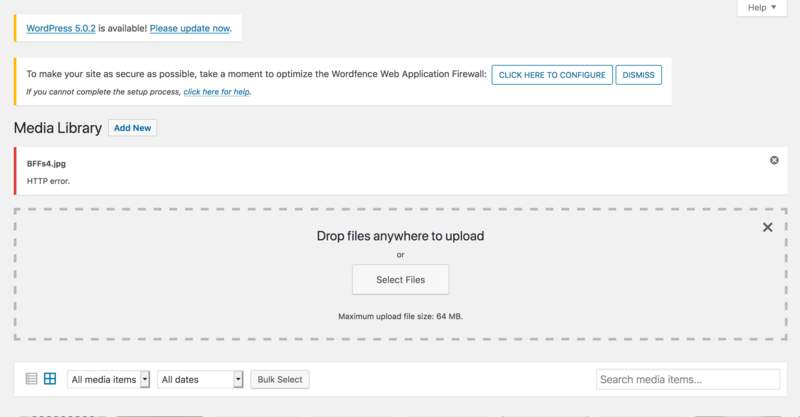 try increasing WordPress Memory Limit to 256M The most common cause of this error is lack of memory available for WordPress to use. To fix this, you need to increase the amount of memory PHP can use on your server. If you still face the same issue then try this code. paste this code in the functions.php file of your active theme. Also, Try adding this code in your .htaccess file. Verify your file and folder permissions. Not the answer you're looking for? Browse other questions tagged wp-admin errors media-library permissions http or ask your own question.